When will be Andrew Zimmern's Bucket List next episode air date? Is Andrew Zimmern's Bucket List renewed or cancelled? Where to countdown Andrew Zimmern's Bucket List air dates? Is Andrew Zimmern's Bucket List worth watching? Andrew Zimmern, the man who has been everywhere and eaten everything, now shares his personal bucket list of his favorite food, places and experiences that should be on everyone's list. Navigating US cities like a local, Andrew gives his spin on amazing eateries and unique adventures before choosing his ultimate pick that best captures the spirit of a city. From classic Brooklyn pizzerias to helicopter tours of Manhattan in New York City. The land of 10,000 lakes for some summer fun; favorite Minneapolis culinary spots; crossing the Mississippi River for a St. Paul Saints game. 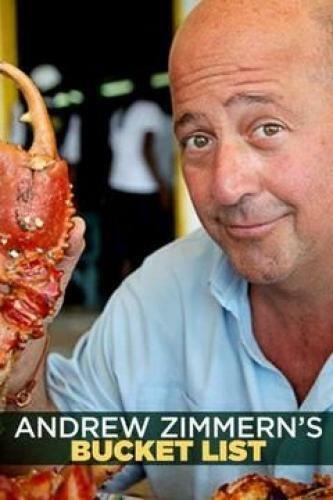 Andrew Zimmern's Bucket List next episode air date provides TVMaze for you. EpisoDate.com is your TV show guide to Countdown Andrew Zimmern's Bucket List Episode Air Dates and to stay in touch with Andrew Zimmern's Bucket List next episode Air Date and your others favorite TV Shows. Add the shows you like to a "Watchlist" and let the site take it from there.